Heat oil in a pressure cooker, add 3 tsp crushed pepper and saute. Add crushed ginger and garlic and saute for 1 minute. Add 3 sliced onion and saute well till light brown and transparent. Add green chillies and mix well. Then add coriander powder and salt and saute well for few minutes. Add chopped tomatoes and curry leaves and stir well. Now add the cleaned beef and mix well. Cover and cook for 20 minutes (about 8 whistles). Heat oil in another pan, add 1/2 cup sliced onion and saute till golden brown. 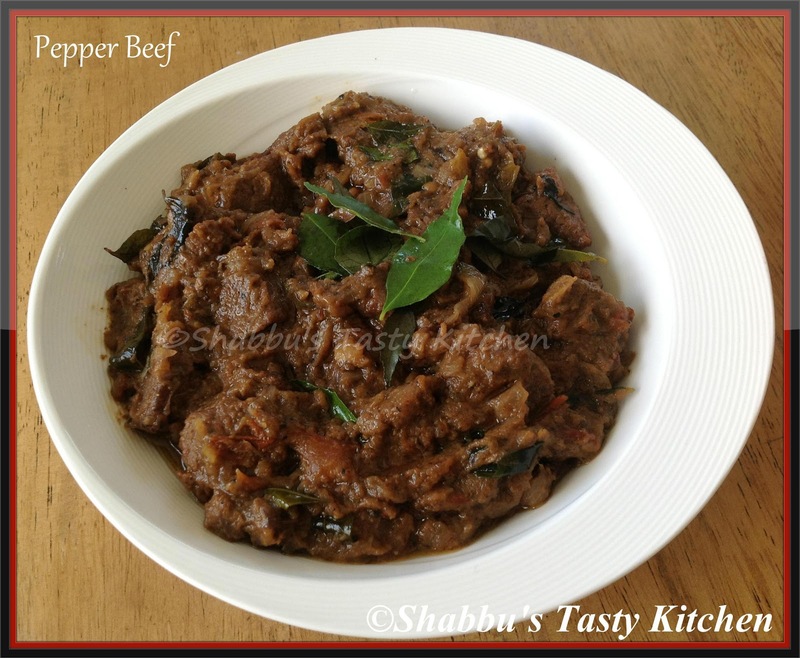 Add curry leaves and cooked beef into the pan and saute for few minutes. In a pan, add chicken stock and vegetables. Cover and cook for 10 minutes. Mix cornflour in milk and add to the boiling stock. When it starts to thicken, add grated cheese and mix well. Heat ghee in a pan, add sliced shallots and saute. Add 2 cups of water and salt and when it starts to boil, add rice flour and stir well in low flame. Add sesame seeds, mix well and allow this mixture to cool down. When cools down, start kneading by adding egg and knead well to a smooth dough. 5. Make very small balls out of this dough ( take long strips from this dough and make small balls), flatten or press each balls to make small button shapes. 6. Heat oil in a pan , add prepared chukkappams in batches and deep fry until it is cooked, crispy and golden in colour..Drain in tissue paper and store in an air tight container.. 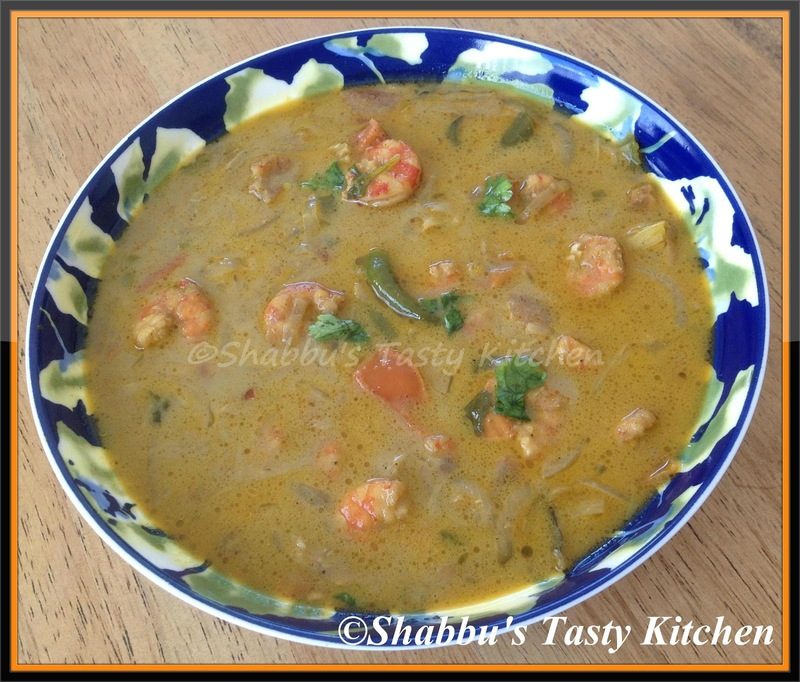 In a bowl, add cleaned prawns, chilli powder, turmeric powder, pepper powder and salt and mix well. 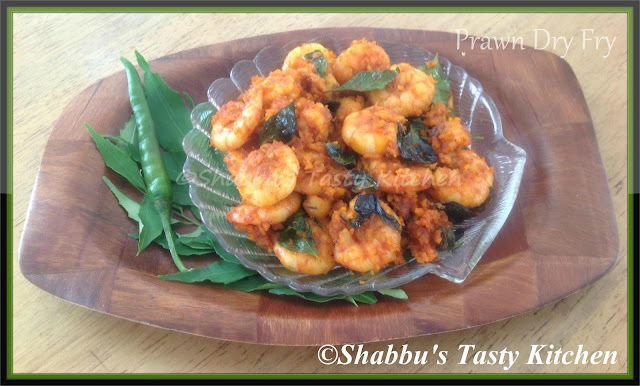 Heat oil in a pan, add curry leaves and marinated prawns and saute for few minutes till prawns get cooked. Wash and soak raw rice and parboiled rice together in water for 3-4 hours. Grind them adding grated coconut, fennel seeds, cumin seeds, shallots, salt and enough water to a dosa consistency batter. Grease a round steel plate or bowl (kinnam) and pour the batter to the plate. Steam cook till done. Remove from the steamer and allow it to cool. 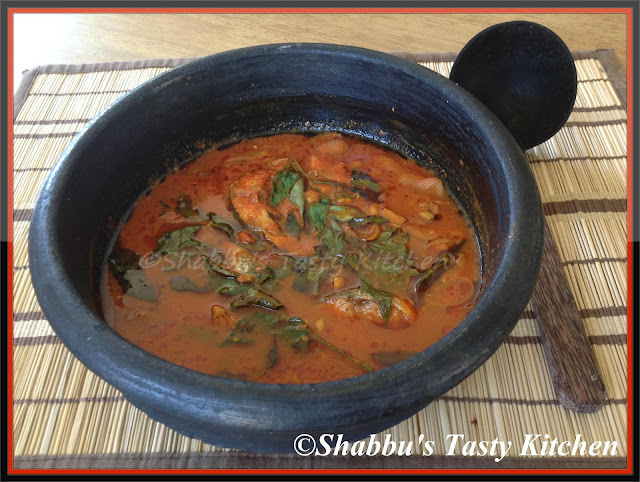 Meen Mulakittathu is a spicy fish curry usually served with mashed tapioca or steamed rice.This curry tastes best the day after it is prepared..I used mullet fish for preparing this curry, you can use any firm fish.. Grind dried kashmiri chillies and tomatoes together to a paste and keep it aside. Heat oil in a clay pot(manchatti) or pan and add chopped ginger and saute for 1 minute. Add green chillies and curry leaves and saute. Add sliced shallots and saute till it turns light brown. Add ground paste and turmeric powder and saute well till oil separates from the sides. Add cleaned fish pieces and mix well. Add 2 cups of water, salt and gambooge/kudampuli and bring to boil. Reduce the fire to lower flame and cook until the gravy thickens. ( Don't stir after the fish is cooked, just swirl the manchatti/pan). In a large pan, boil water adding enough salt. Add rice and cook until 3/4th done. Drain and keep it aside. Heat ghee or oil in a wide pan, add chopped ginger, garlic and green chillies and saute well. Add chilli powder, coriander powder and turmeric powder and saute till raw smell disappears. Then add chopped tomatoes and saute till soft. Add garam masala and mix well. Add 1/2 cup coriander leaves, mint leaves and stir well. Add cleaned prawns and salt and saute for 1-2 minutes. Add 1 1/2 cup water and cook till prawns are done. Now add drained cooked rice and mix well. 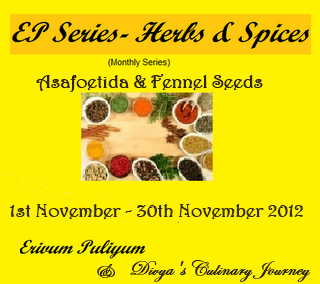 Add remaining coriander leaves and mint leaves and mix well. Marinate the chicken pieces with garlic paste, ginger paste, coriander powder, cumin powder, garam masala, 3 tbsp yoghurt and salt and refrigerate it for atleast an hour. 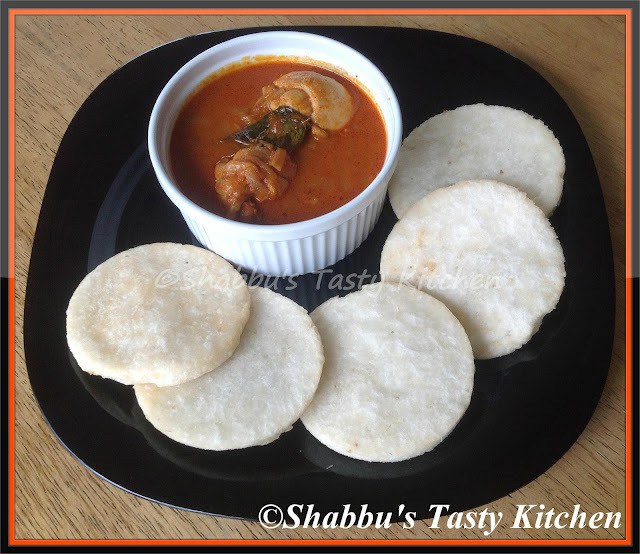 Grind tomatoes and green chillies together to a fine paste and keep it aside. Heat oil in a pan, add the sliced onions and fry till soft and keep it aside. Add capsicums and saute for 1-2 minutes. Keep it aside. In the same oil, add the marinated chicken pieces and fry till the chicken is soft and dry. Remove the chicken from the oil. Add chilli powder and the remaining marinade in the same oil and saute. Then add the chicken and water and cook for 5 minutes. Add 1/4 cup yoghurt, fried onions and the ground paste and cook till dry. 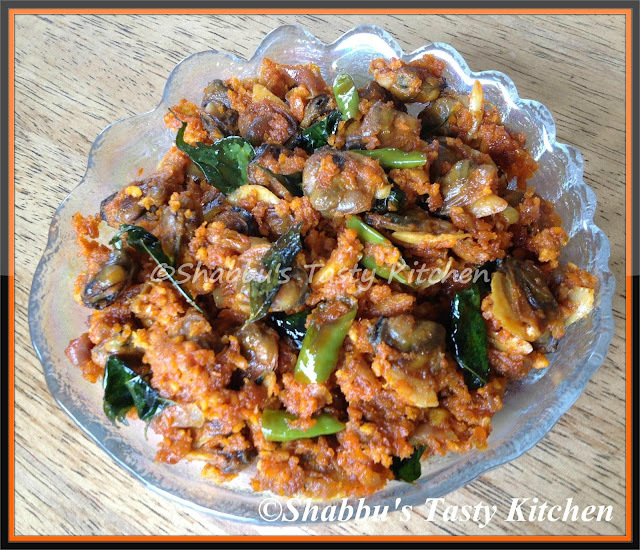 In a pan add sliced mushrooms and 1/2 tsp turmeric powder and cook adding little water. Keep it aside. 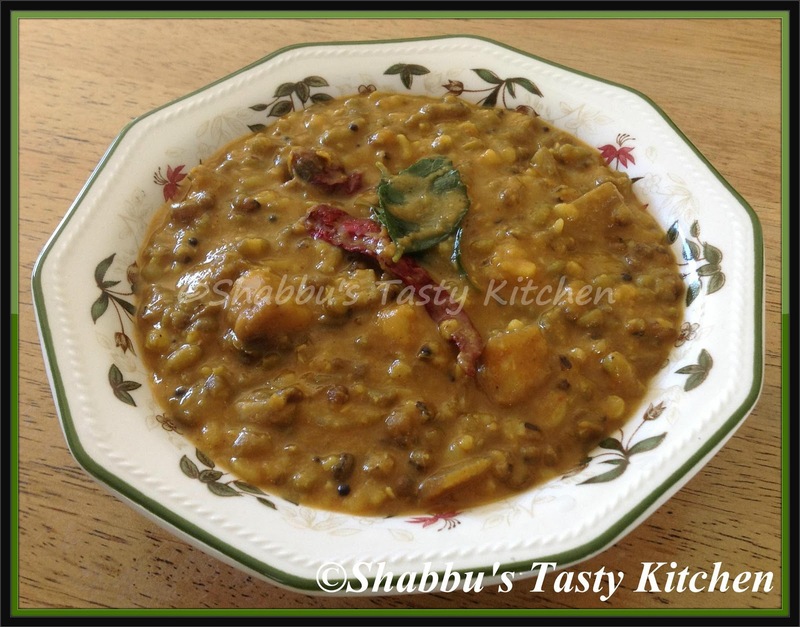 In a bowl or plate, add grated coconut, 1/2 tsp turmeric powder, chilli powder, green chillies, sliced shallots, few curry leaves and salt and mix well using hand. Heat oil in a pan, splutter mustard seeds and add dry chillies and curry leaves. Add coconut mixture and stir well for 1-2 minutes. Cut onion into rings and dust little plain flour over this and keep it aside. In a bowl, add plain flour, cornflour, baking soda, chilli powder, salt and little bread crumbs, mix together and make a thick batter adding water. Heat oil in a pan or kadai. 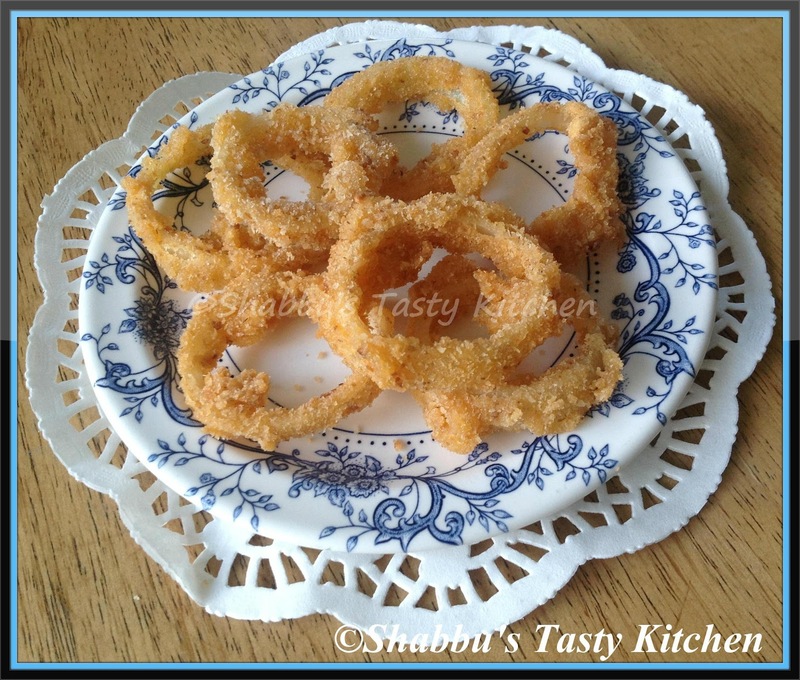 Dip the onion rings in the batter and coat with the bread crumbs and deep fry till golden brown and crisp. 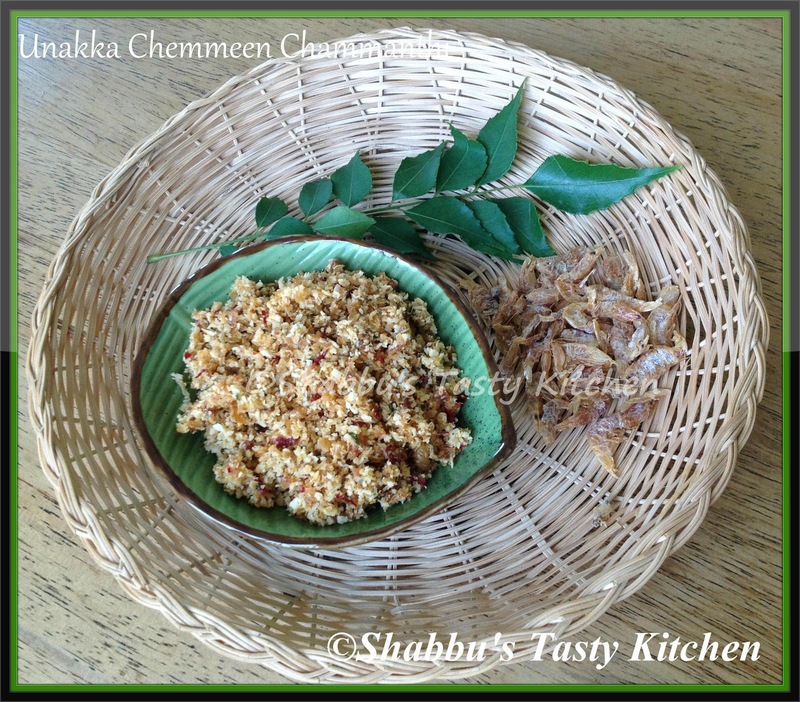 Serve hot..
Crush grated coconut, shallots and fennel seeds together and keep it aside. In a saucepan, boil 1 cup of water adding salt. 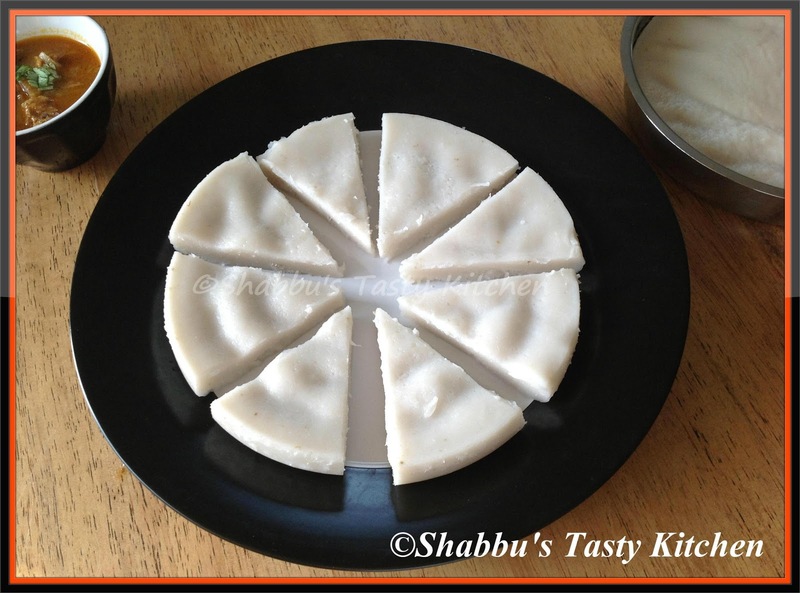 Add the rice flour and combine well using a wooden spoon or spatula. Remove from heat and transfer to a wide bowl or plate. Add crushed mixture and knead well when it is still warm to a smooth dough. Roll the prepared dough into a thick big pathiri. 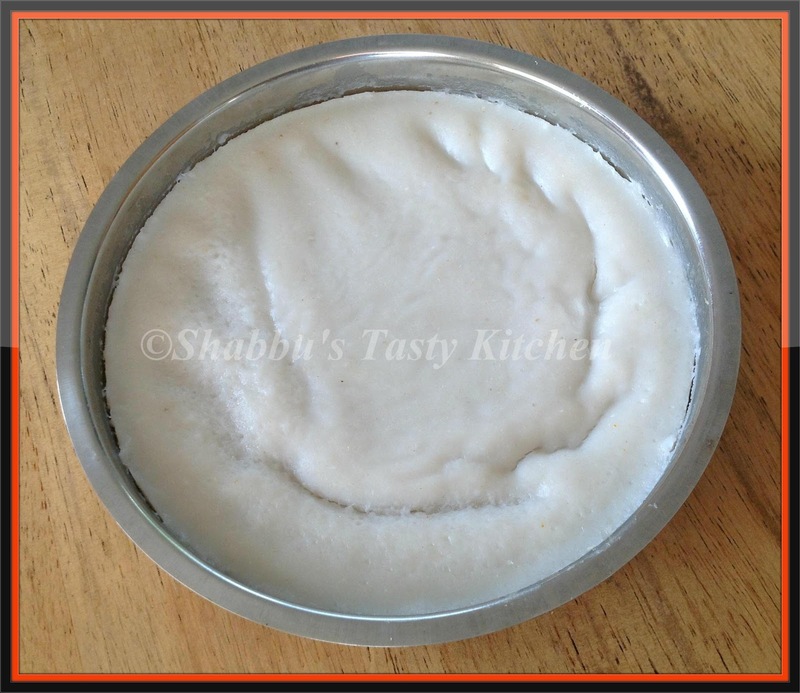 Cut out many small round pathiris from this using a lid or glass or any other round shape. 6. Heat oil in a pan and deep fry these small pathiris till it turns slight brown colour on both sides. Soak soya chunks in boiling water for 10 minutes. Wash well, drain it and keep it aside. 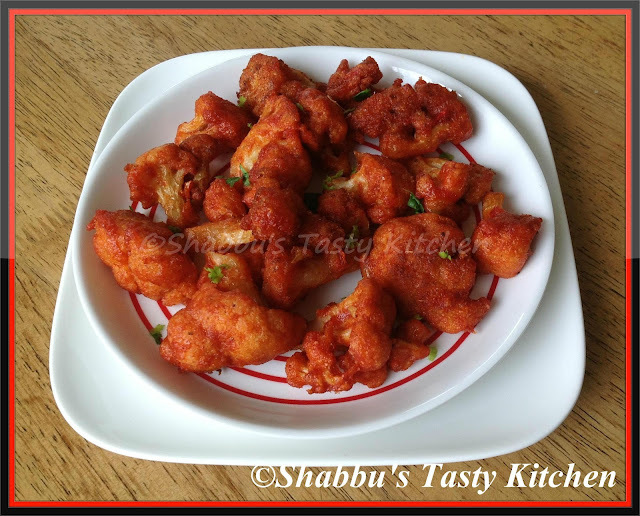 Cut cauliflower into florets and put it in hot salted water for 5 minutes. Drain the water and keep it aside. Grind ginger, garlic and green chillies together to a paste. Heat oil in a pan, add 3 sliced onions and saute till it turns transparent. Add ground ginger,garlic and green chillies paste and saute for few minutes. Add chopped carrots, beans, cauliflower, soya chunks, cooked green peas, chilli powder, coriander powder, turmeric powder, garam masala and salt and mix well. Then add yoghurt, coriander leaves and mint leaves , stir well and cook covered for few minutes in medium flame. 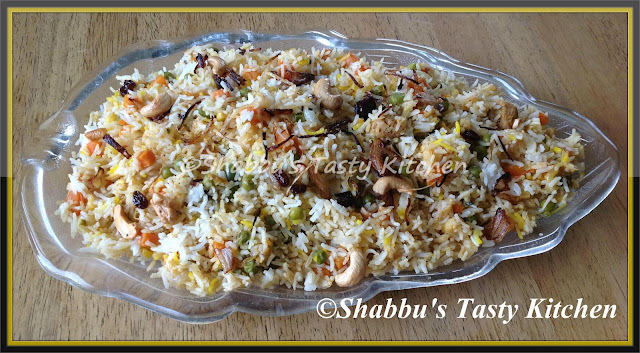 Rub little ghee in a thick bottomed pan and spread half of the cooked rice at the bottom layer. 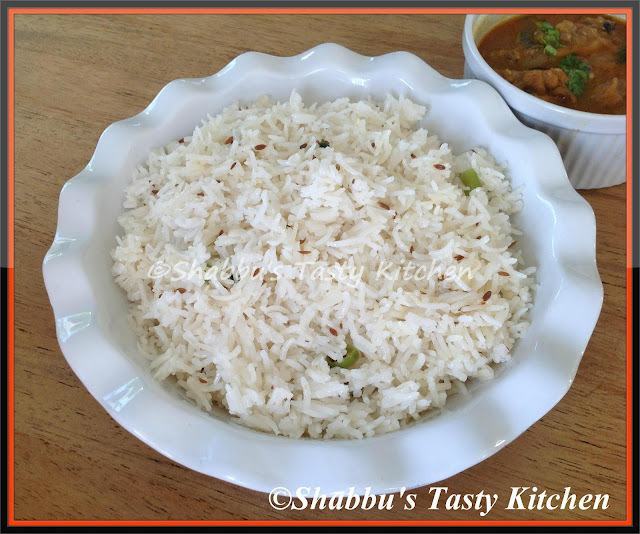 Add the prepared vegetable masala over the rice and then add the remaining rice as a top layer. Sprinkle few drops of saffron milk ( optional- mix a pinch of saffron in 2 tsp warm milk) over the rice. Close the lid tightly and heat on a low flame for about 10-15 minutes. 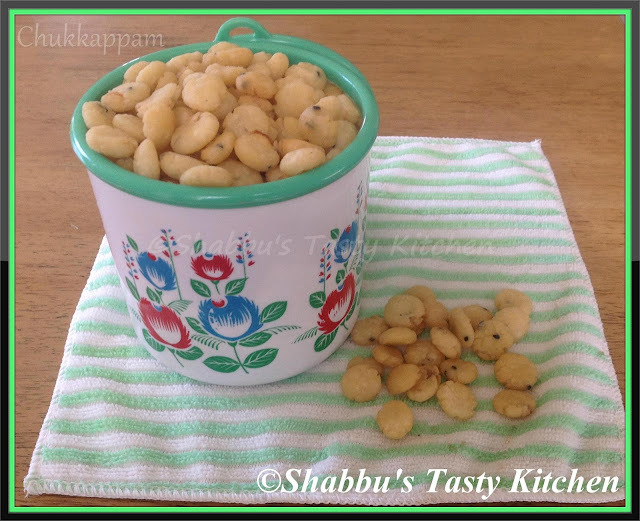 Garnish with fried onions, cashew nuts and raisins..Serve hot.. In a bowl, add chilli powder, coriander powder, turmeric powder, cumin powder, pepper powder, cornflour, rice flour, red food colour, lemon juice and salt, mix well. Marinate the cleaned chicken pieces in it and keep it aside for atleast 2 hours. Heat oil in a pan or kadai, deep fry the curry leaves and green chillies till crisp and keep it aside. 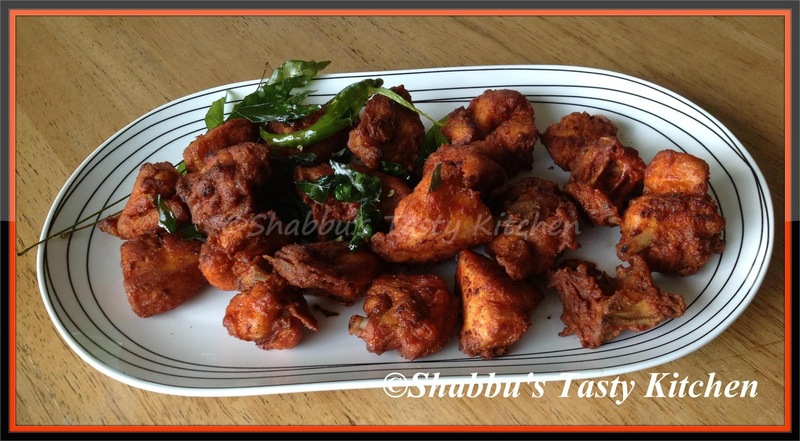 Add the marinated chicken pieces in the oil and deep fry till it turns golden brown. 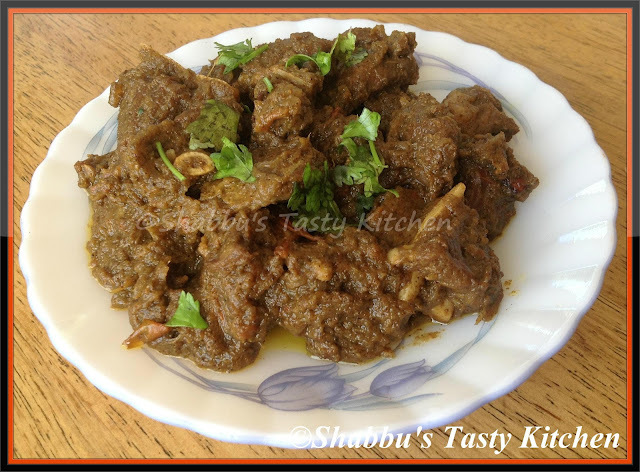 Cut and clean mutton into small pieces. 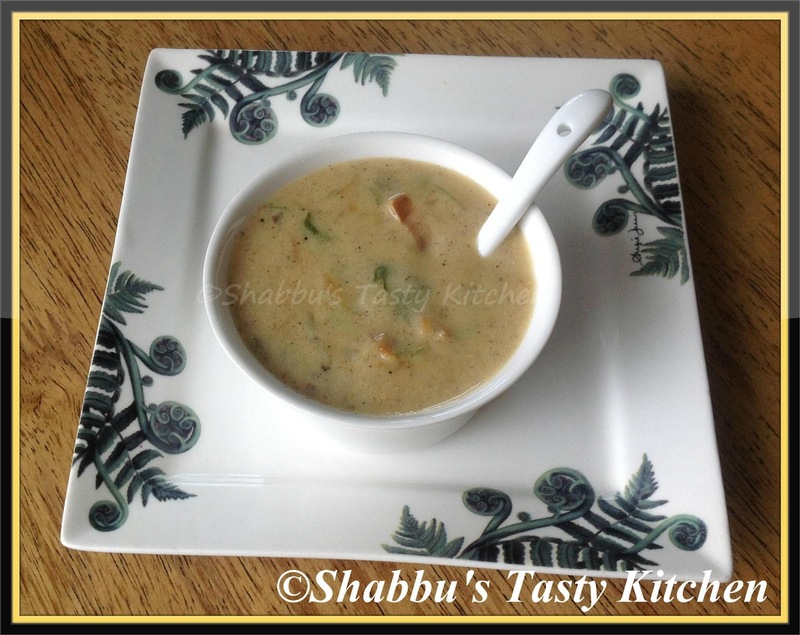 Grind pepper corns, green chillies, ginger, garlic and coriander leaves with 2 tbsp water to a paste. 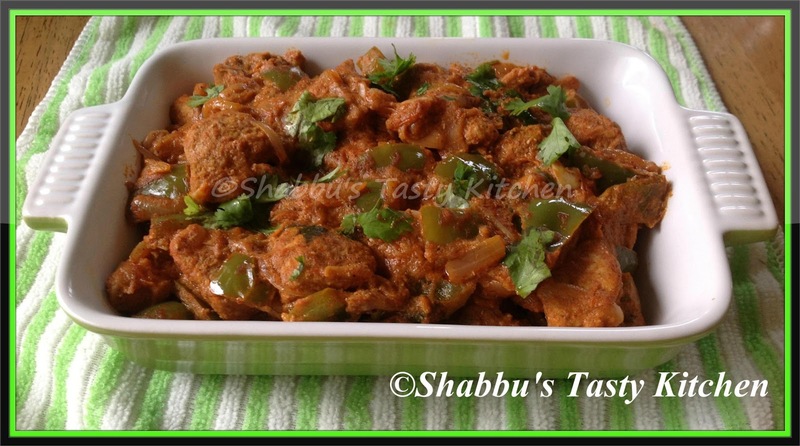 Marinate cleaned mutton pieces with ground paste, lemon juice and salt and keep it aside for 1-2 hours. Heat oil in a pressure cooker and add chopped onions and saute till light brown. Add marinated mutton, cloves and cinnamons and saute well. When oil starts appearing, add chopped tomatoes, coriander powder and turmeric powder, mix well and saute for few minutes. Add 1 cup water to this and pressure cook till the mutton is done. Preheat oven to 175 degree C/ 350 degree F. Butter and flour two 8 inch round cake pans and keep it aside. Sift together all purpose flour and salt in a bowl. In a small bowl, mix red food colouring and cocoa powder to form a thin paste without lumps and keep it aside. In a large bowl, using a hand mixer or stand mixer beat the butter until soft (about 1-2 minutes). Add the sugar and beat until light and fluffy (about 2-3 minutes). Beat in eggs, one at a time, then beat in vanilla and red cocoa paste. Scrape down the sides of the bowl. Add one third of the flour mixture to the butter mixture, beat well, then beat in half of the butter milk. Beat in another third of flour mixture, then second half of butter milk. End with the remaining flour and beat well until combined. In a small cup, combine vinegar and baking soda and then quickly fold into the cake batter. Divide the batter evenly between the two prepared pans and place them in the preheated oven. 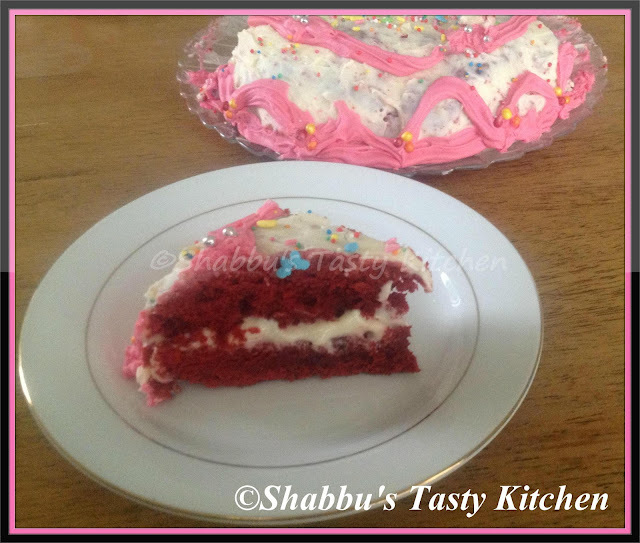 Bake for 25-30 minutes or until the toothpick inserted into the centre of the cakes comes out clean. Cool the cakes in their pans on a wire rack for 10 minutes. To remove the cakes, place a wire rack on top of the cake pan and invert, lifting off the pan. Allow cakes to cool completely before frosting. Then wrap in plastic and place in the refrigerator for at least an hour. To prepare cream cheese frosting, beat the cream cheese at room temperature until smooth. Add the powdered sugar and vanilla and beat until smooth. Add the whipping cream and whip until the frosting is thick enough to spread. 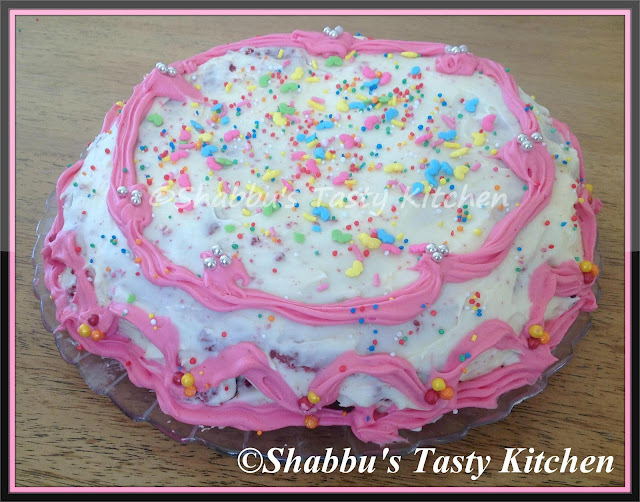 To assemble, place one cake layer on a cake stand or a serving plate and spread with a layer of frosting. Grind grated coconut, cumin seeds, 1 tsp chilli powder, 1/2 tsp turmeric powder and 1 shallot to a smooth paste and keep it aside. Pressure cook green gram and plantain with 1 tsp chilli powder, 1/2 tsp turmeric powder and salt adding enough water for 1 whistle. Then lower the heat and cook for 5 minutes. Add the ground paste to the cooked green gram and mix well. Add more water if needed and check the salt. Cook for few minutes and remove from flame. Heat little oil in another pan, splutter mustard seeds. 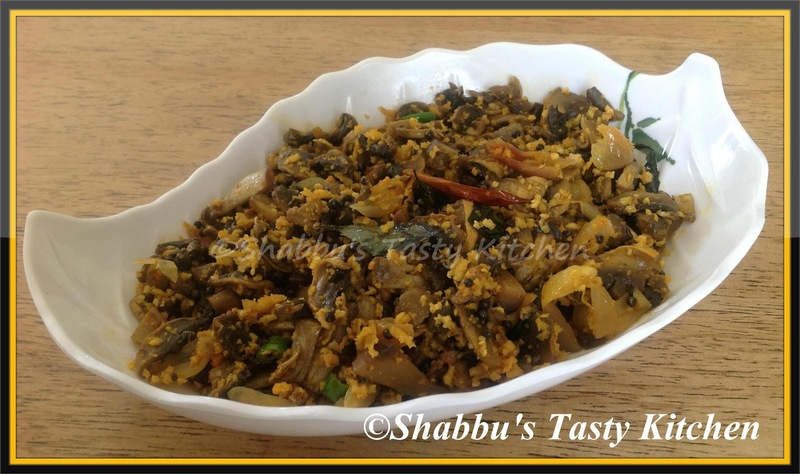 Add 2 sliced shallots, curry leaves and dry red chillies and add this to the curry...Serve hot with rice..
Clean the mussels outer shell and boil them with enough water, till the shells open. In a bowl, add garlic paste, fennel powder, chilli powder, turmeric powder and salt , mix well and make a paste. Marinate cleaned mussels with this paste and keep it aside for 15-20 minutes. 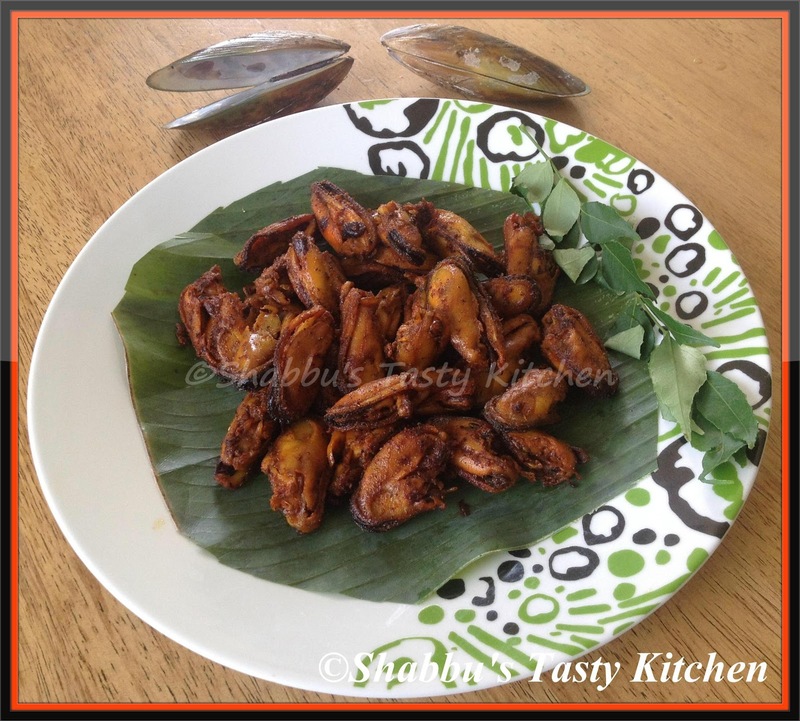 Heat oil in a pan, add marinated mussels and fry on both sides in medium flame till they become crispy..Serve hot..
Clean the prawns and marinate it with chilli powder, turmeric powder and salt and keep it aside for 30 minutes. Heat oil in a pan, add marinated prawns and shallow fry slightly on both sides and keep it aside. In the same oil used for frying prawns (add more oil if needed), add 3 sliced onions and saute till transparent. Add chopped tomatoes and saute till soft. Add chopped coriander leaves and mint leaves and mix well. Add 1/2 tsp garam masala, 1 tbsp lemon juice and salt and mix well. Then add fried prawns, mix well and cook covered for few minutes in low flame. 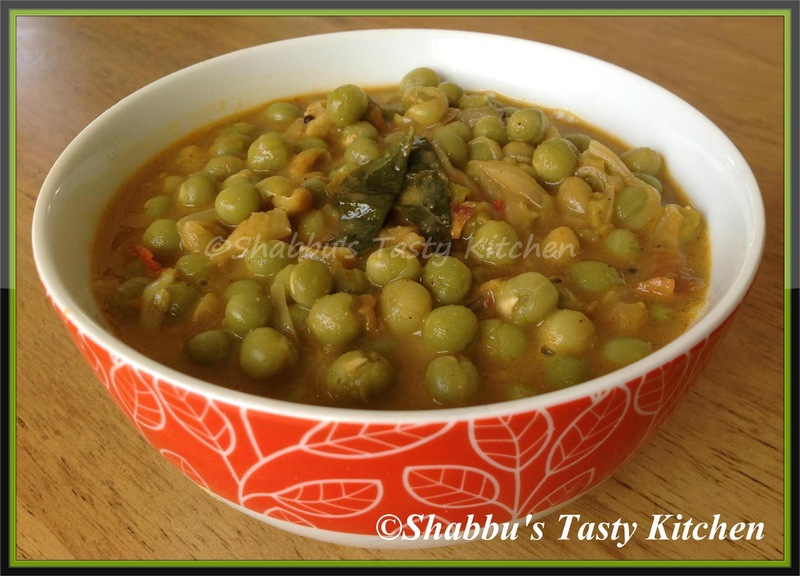 Heat ghee in a thick bottomed pan, add cardamom, cinnamon, cloves, bayleaf and 1 sliced onion and saute till transparent. Divide the cooked rice into two parts. 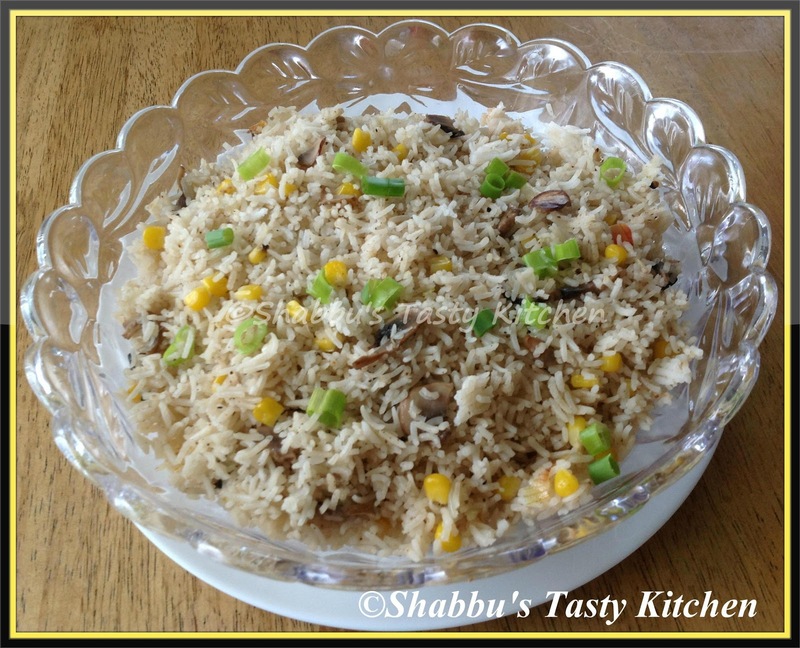 Mix little biriyani colour in little milk and keep it aside. 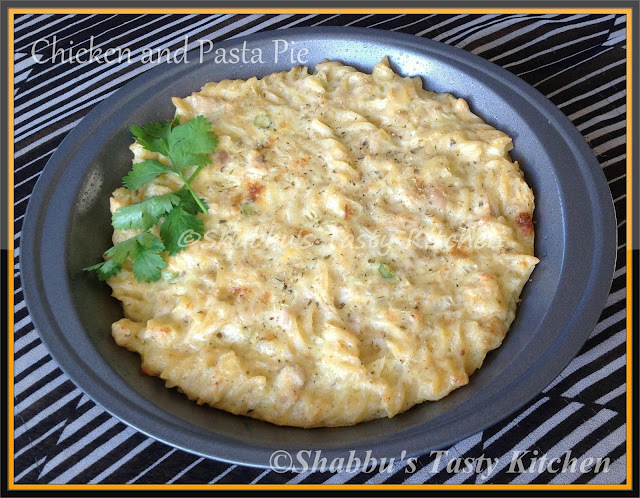 Take a wide thick bottomed pan and rub it with little ghee. Layer the bottom of the pan with one part of cooked rice. Sprinkle 1/4 tsp garam masala all over the rice. 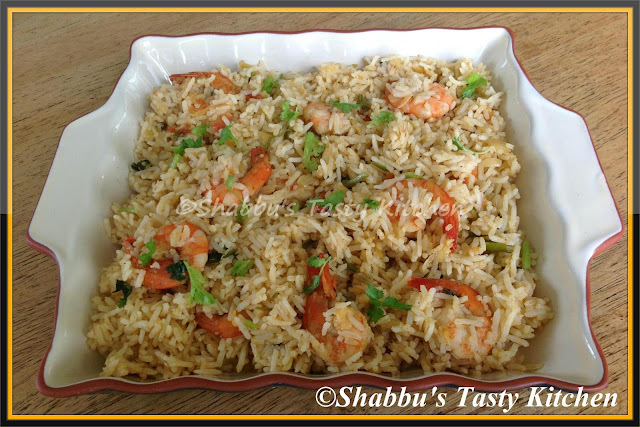 Add prepared prawn masala over the rice and then add remaining rice as a top layer. 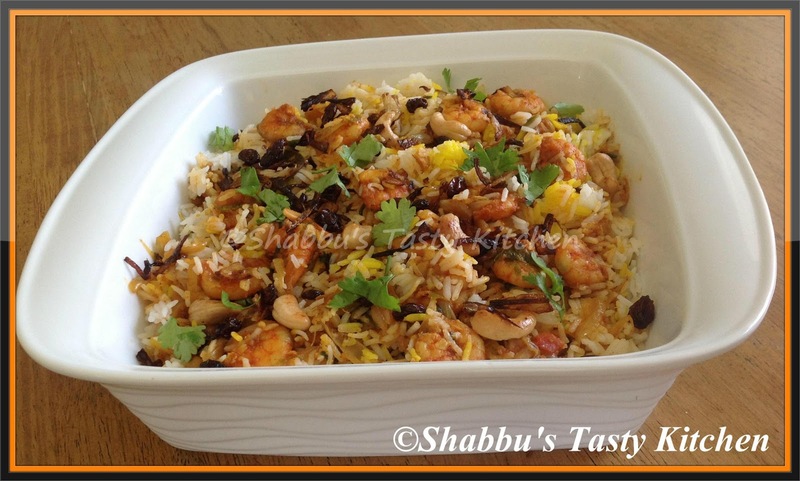 Sprinkle 1/4 tsp garam masala, biriyani colour, 1 tbsp lemon juice and coriander leaves all over this.